If — as Mark Twain once wrote — the Creator made Italy from designs by Michaelangelo, then who made the rest of the world? Lella and Massimo Vignelli may not have made it, but they sure as hell designed a lot of it. From typography to textiles, furniture to flatware, there is little that has not been touched by Lella and Massimo Vignelli. Brightly colored stackable mugs. Elegant printed materials for so many institutions. Books and magazines, tables and environments, jewelry, logos, posters, toys, maps. Think everything old is new again? You might be right. In the Vignelli galaxy, black is the new black. This week marks the opening of the Vignelli Center for Design Studies at the Rochester Institute of Technology. In the coming days, we will bring you interviews, articles, essays and appreciations; podcasts, film excerpts and no shortage of photographs; remembrances from former Vignelli design staffers; and much, much more. We hope you will join us in congratulating Lella and Massimo, and in thanking them for their significant contributions to design. 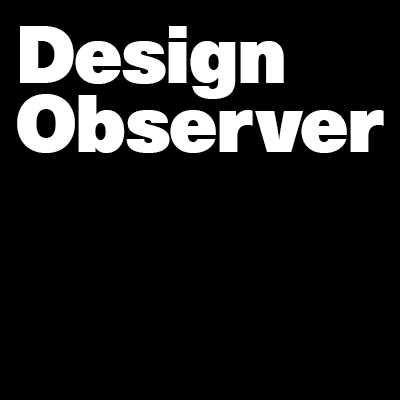 The iconic work of international designers Massimo and Lella Vignelli is now a permanent archive at a new design center, the Vignelli Center for Design Studies, set to open September 16, 2010 on the campus of Rochester Institute of Technology. The Vignellis created the New York City subway signage, the Handkerchief Chair, the Paper Clip Table, the Stendig calendar, the interior of St. Peter’s Lutheran Church in New York City, the corporate identity programs for Xerox, American Airlines, packaging programs for Bloomingdales and Saks Fifth Avenue, to name just a few. An archive of the Vignellis design work over their 40-year career, along with an extensive collection of original source materials, will serve as an international resource and be accessible for study. In addition to the archive storage rooms, the nearly 19,000 square foot Vignelli Center also houses offices and the Benetton Gallery, which will feature an exhibit “Design is One,” composed of select pieces from the Vignelli collection. The center will serve as a hub for design education, scholarship and research, expanding the scope of the programs offered through RIT’s School of Design. The school offers degree programs in graphic design, industrial design, interior design, new media design and imaging and computer graphics design. The university also has international exchange programs with the Anhalt University of Applied Sciences in Dessau, Germany, and in Copenhagen, Denmark. The Vignelli collection complements RIT’s thirty-five collections of Modernist American graphic design pioneers such as Lester Beall, Will Burtin, Cipe Pineles, William Golden and Alvin Lustig, among others. The university began acquiring these collections in the mid 80s. Through the Vignellis, RIT has formed a partnership with Benetton Group and its internationally renowned social communication research center, Fabrica, headquartered in Treviso, Italy. Fabrica draws artists and designers from all over the world. The main exhibit gallery in the Vignelli Center, the Benetton Gallery, is named in honor of a major donation from the Benetton Group. A donation from the Helen Hamlyn Trust of Great Britain, in conjunction with RIT, funds the Massimo and Lella Vignelli Distinguished Professor of Design. R. Roger Remington holds this endowed professorship. Lady Hamlyn will be on hand for the dedication ceremony. Also in attendance at the dedication will be renowned Italian graphic designer Armando Milani. Milani specializes in branding programs and posters for humanistic causes. His exhibit, “From the Eye to the Heart” will present 50 posters and 50 logotypes. One of his most recognizable posters — Translating War into Peace — was published worldwide in 2005 by the United Nations and will be part of the exhibition. To learn more about the Vignellis and their international achievements, visit www.vignelli.com. So I can go to RIT and access the Vignelli archives? I might have to plan an upstate vacation around this. Bravo! As an RIT graduate, I am proud. As a designer I am grateful to know the Vignelli’s contribution to design is being so carefully collected and preserved in that space. Fantastic! Yay! This is at my alma mater! Awesome!